Rotatable Multi Rack is autoclavable, made of polypropylene is s combination of four modules. Providing spaces for different sizes of test tubes and centrifuge tubes. These modules can be rotated in different directions to accommodate different types and sizes of tubes at the same time. 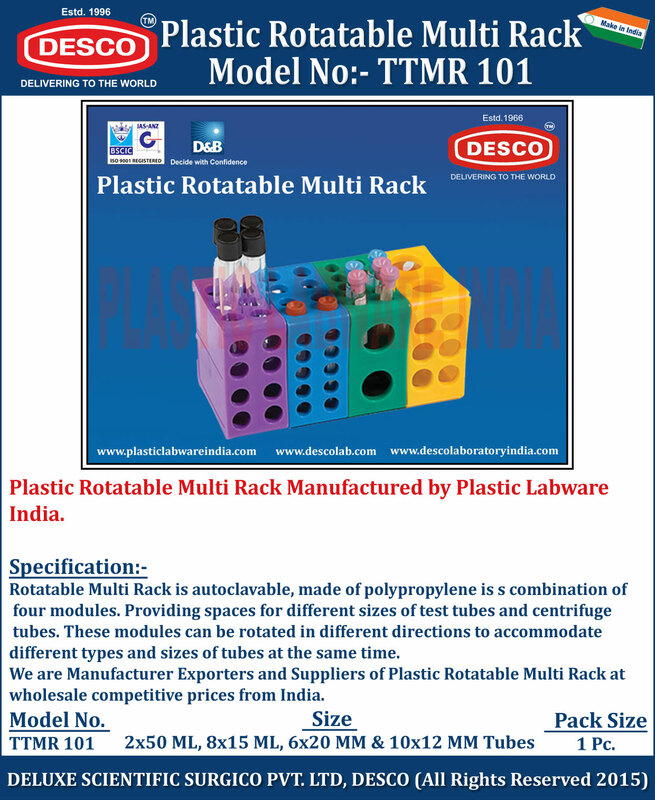 We are Manufacturer Exporters and Suppliers of Plastic Rotatable Multi Rack at wholesale competitive prices from India. TTMR 101 2x50 ML, 8x15 ML, 6x20 MM & 10x12 MM Tubes 1 Pc.